Earlier this year, Sarah (Executive Director and Curator) and I (Assistant Archivist Trish, here!) went on a ziptrekking adventure. As the wonderfully informative guides toured us around the heights of Fitzsimmons Creek, one of them began explaining how the last Ice Age affected the mountainous terrain that we know and love today. Immediately intrigued I decided to dig a little deeper into the geology of Whistler – most enchantingly, the effects of glaciation on our town. In short, ice sheets and glaciers are vastly recognizable within Whistler’s topography, as they have essentially shaped our entire landscape. From quarrying out the alpine basins we ski in to producing the series of ridges that define our skyline, ice sheets and glaciers are the key culprits to the rocky grounds and heights we’ve become so familiar with. Whistler Bowl, West Bowl, Horstman Glacier Bowl, Harmony and Symphony Basins have all been molded into their present states by glaciers that have plucked at the bedrock, while carrying and grinding loose fragments into smaller pieces with the movement of ice sheets. The bowls were all created during the initial stages of the build-up of the Cordilleran ice sheet. The Cordilleran ice sheet periodically covered large parts of North America (including British Columbia) during glacial periods over the last 2.6 million years. 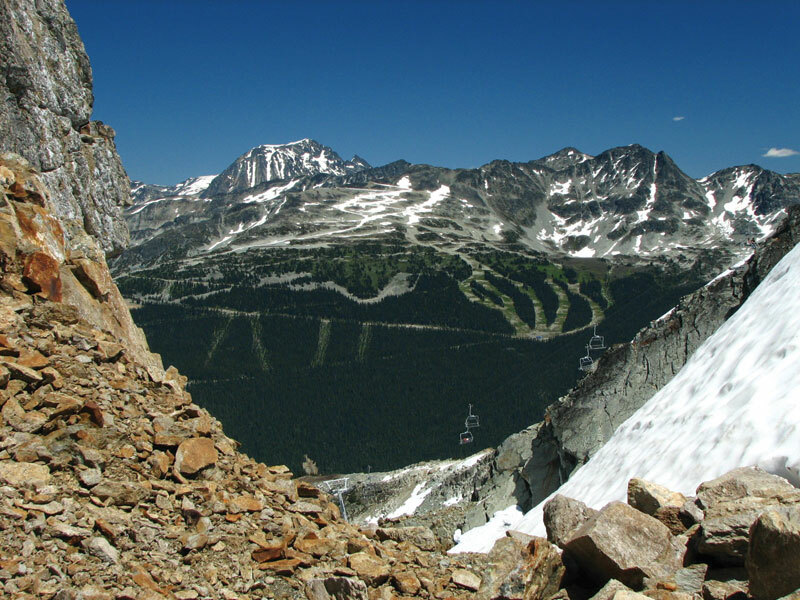 Approximately 15,000 years ago, it covered all but the highest peaks of Whistler. 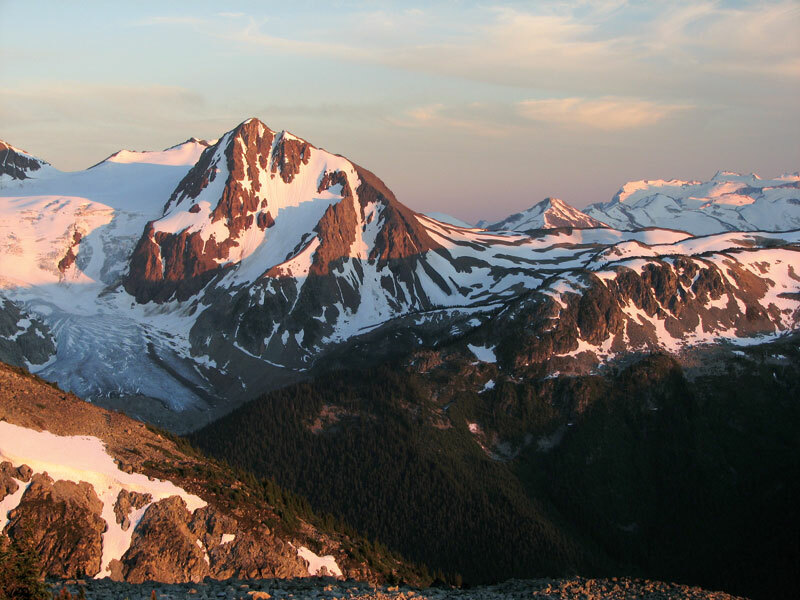 Noticeably, mountain peaks in Whistler range from jagged to more rounded. These physical traits are so interesting in that they can identify the height of the Cordilleran ice sheet. Essentially, a peak that is jagged was above sheet level, whereas more rounded peaks are so because they were under ice. This is endlessly fascinating as you can scan Whistler’s landscape and notice each peak, visualizing the height of the ice that once covered our land. A prime example of the ice sheet elevation levels is evident when comparing Whistler Mountain to Blackcomb Mountain. Plucked features and striations (effects of glaciation) can be found on the summit of Whistler Mountain (2160m) but not above the Horstman Hut (2252m) on Blackcomb Mountain (2437m). Therefore, the surface of the ice in this area was likely just below Horstman Hut. Next time you’re wandering about in the valley or ascending in a gondola up Whistler or Blackcomb Mountain, imagine how Whistler would have looked 15,000 years ago. Imagine our ice-filled valley and our jagged mountain peaks peering out from under a massive sheet of ice, while large glaciers pluck at bedrock and carry pieces to new terrain. 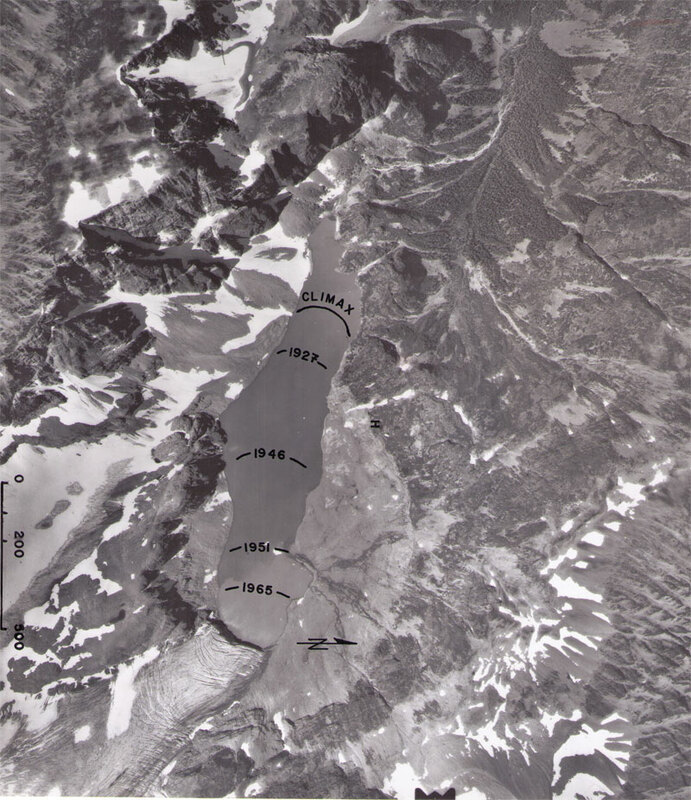 1973 aerial of Wedgemount Glacier terminus in lake basin. The trimline marks the former extent of the glaciers circa 1895, with various stages of recession also marked. Interpretation by Karl Ricker. This entry was posted in Environment and tagged climate, ice age, mountains, Whistler. Bookmark the permalink.